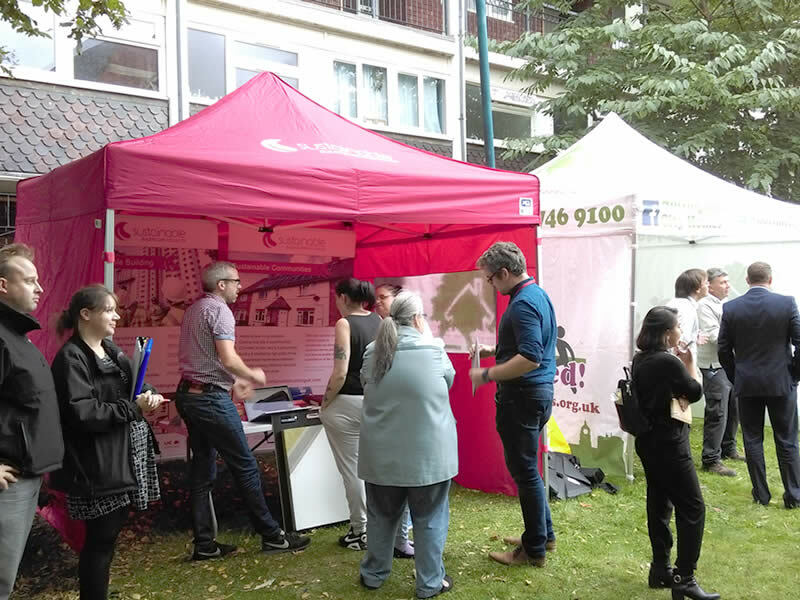 In April 2018, we announced that SBS had begun a major energy efficiency scheme in Sneinton, Nottingham. Now, with work on this pioneering £4 million scheme well under way, here's a short progress update. We reported on the original project brief in a previous post and despite the uncertainties resulting from challenging local geology and the need for local road closures, work has continued at an impressive pace. The scheme is on track to complete in spring 2019 and, at the time of writing (November 5th, 2018) scaffolding work is running four weeks ahead of schedule. The construction of the UK's first ever residential battery storage facility, which is possibly the biggest of its kind anywhere in the world. The UK's first low temperature district heating system - i.e. utilising the low temperature return from a neighbouring district heating system. The use of heat exchange units to recover the waste heat. Removal of traditional on-site gas boilers. Improving the 5-storey block's energy efficiency through the use of external wall insulation, photovoltaic panels, loft and floor insulation, new windows and doors, and top-up loft insulation. An important challenge has been to address the risk of cold-bridging. The building features numerous walkways, balconies and soffits that would present a means for heat to be lost, but this has been prevented through innovative detailing work. The building has several stepped levels and the system designer PermaRock has developed detailing that accommodates these changes without leaving any areas exposed. This represents a level of care that many other designers and contractors might well consider excessive, but the team's careful planning has meant that potential cold-bridging problems are being eliminated efficiently and affordably. Other challenges have included the fact that the properties have remained occupied throughout the works, and the requirement that SBS manage a number of subcontractors appointed directly by the client, Nottingham City Homes. Effective communication between all stakeholders has kept the scheme running to schedule. 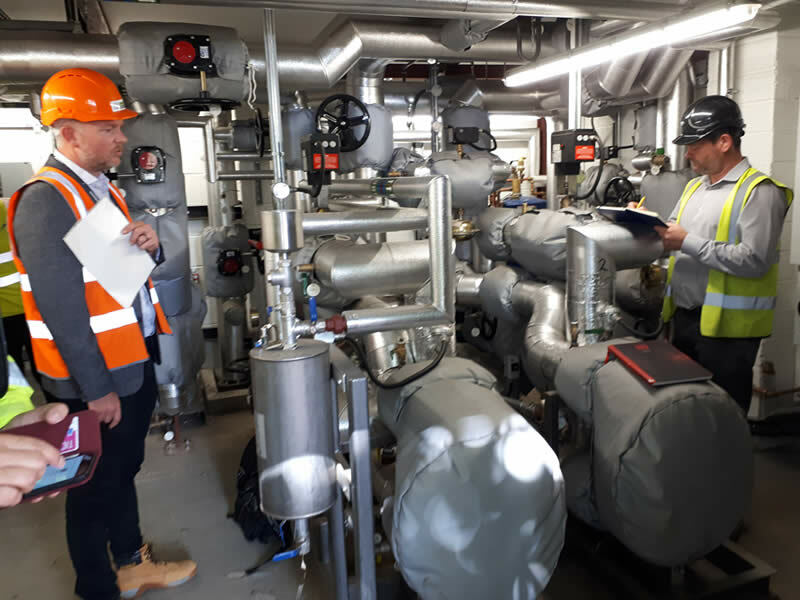 "One of the most notable aspects of this project is that it demonstrates a changing approach to energy and heating," notes SBS Project Director, Nigel Coxon. "Things have almost gone full circle. In the '60s, buildings were being developed with on-site district heating. This went out of fashion in the '70s when the availability of North Sea gas made gas-fired boilers more financially attractive. Later, we saw properties becoming electrically heated, using 'Economy 7' type tariffs, and now, nearly twenty years into the 21st century, we're seeing modern technologies underpinning a revival of district heating. "In this case, the heat is generated by a local energy-from-waste plant that supplies the neighbouring block's district heating system. The return leg of that system now feeds back under the road to The Courts, but because it has passed much of its heat to the original block of 270 flats, the temperature of this return feed is approximately 20 degrees Celsius lower. It therefore has to pass through modern heat exchange units, which extract the useful heat and transfer it into the system supplying The Courts. "For the client, this is an investment that reduces its reliance on rising gas prices and helps it to operate much more sustainably. 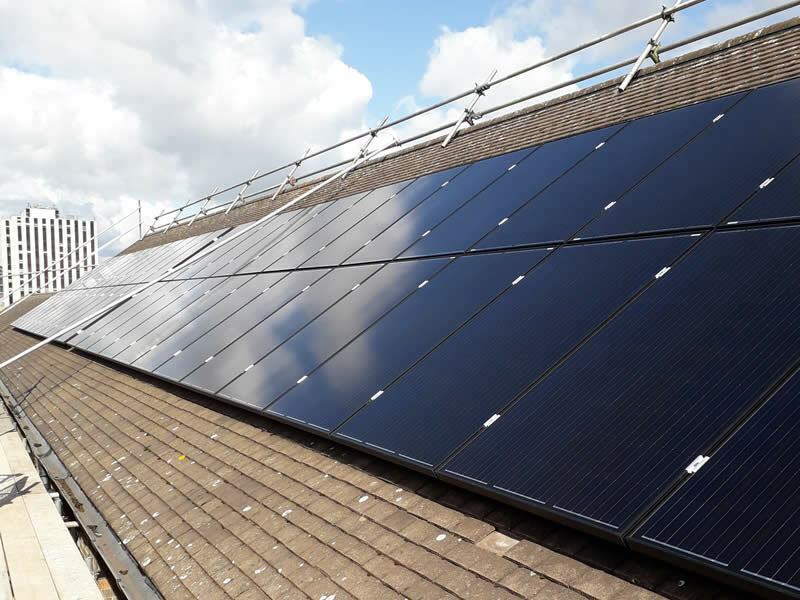 This sustainability is further improved by the use of rooftop PV panels, which supply the building's electricity needs, with any surplus being fed back into the grid." Ten properties within The Courts have been fitted with energy monitors. Their data will be studied by researchers from Nottingham Trent University and by the client, Nottingham City Homes, in order to gauge the effects of the various measures. Already, the data has shown one unexpected consequence of the scheme: that the improvements to the new system at The Courts have also enhanced the energy efficiency of the existing district heating system across the road. A further update will be published when the scheme approaches completion.